This highly simple yet effective branded item can offer opportunities and benefits for any company brand that decides to implement it into their promotional portfolio. Branded ear plugs can be perceived as a different and strange tool for promotion , however there are many companies out there already using branded ear pugs as an effort to reach new consumers and increase brand awareness. The effectiveness behind Ear plugs lies with their functionality. Ear plugs are hugely popular product and have uses almost everywhere from nosey working environments to assisting sleep. In many cases they’re far more useful than using the generic repeitive products such branded mugs and pens. Although these promotional products certainly do have their uses, ear plug can create greater satisfaction and happiness to consumer receiving them particularly when handed at out relevant events such as festivals where sleep is much needed! Furthermore these products would be a perfect for any kind of give-away, promotion item and gifts that can achieve long lasting brand exposure. Ideal for companies who seek to add that extra value to their brand, and at the same time achieve a high level of corporate social responsibility. 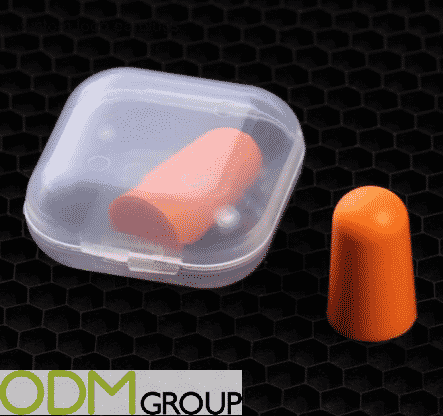 Additionally large, medium and small sized companies all can successfully implement this type of promotional product because ear plugs fit every businesses budget and can have the add-on of customisation. Particularly the case holding the product offers a suitable space to print branded name or logo upon. What Do Branded Earplugs Add to Your Business? Brand Awareness and Brand Activation – As aforementioned this is a great way to bring awareness to your brand. You too can use promotional products as giveaways at festivals and trade fairs to promote your business and market your brand effectively. Perceived value – By adding a good quality branded print to the item will increase the value of the product and ultimately the brand, that will give a competitive edge over major competitors. Overall, promotional products, especially branded ear plugs can increased sales through keeping existing customer loyal and attracting new customers that will ultimately benefit the company as a whole. Here at ODM will specialise in branded items and promotional products, to find out more visit our blog. In addition, if you’re interested in gift with purchases then please visit our page, with tailored advice on Gifts with purchase.